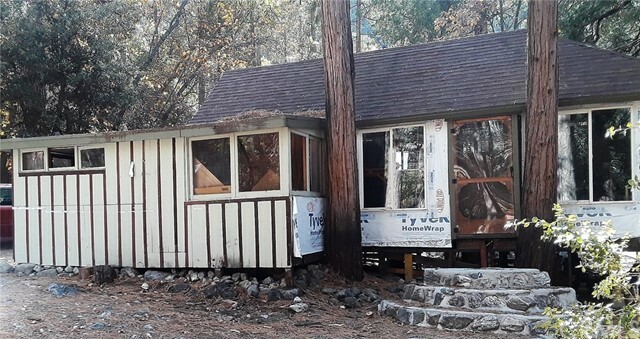 All Forest Falls homes currently listed for sale in Forest Falls as of 04/19/2019 are shown below. You can change the search criteria at any time by pressing the 'Change Search' button below. If you have any questions or you would like more information about any Forest Falls homes for sale or other Forest Falls real estate, please contact us and one of our knowledgeable Forest Falls REALTORS® would be pleased to assist you. "Beautiful Mountain Retreat!!! Stunning Views of mountains and year round WATERFALL!!!! This is a lovely 5 bedroom, 3 bath home. There is one full bath with jetted tub, 2 other baths are 1.75. There are beautiful hard wood floors throughout most of the home, tile in the bathrooms and kitchen, with carpet up the grand staircase. Keep toasty warm with 2 gas fireplaces and 1 air tight wood burning stove in addition to force air furnaces. Enjoy the upgrades in the home including built in vacuum system, trash compactor, microwave and stove. 3 car garage with a large workshop...(OVER 4400 SQUARE FEET BELOW ROOF)... relax in the hot tub on back deck with the sound and view of the waterfall of this Gem. This home is minutes from the 10 freeway, close to the store and school. This is a Must See!!!! See photos of foundation....Engineered for your safety...Concrete siding to resist fires and insects...Full house with fire sprinklers...Generator included!!! 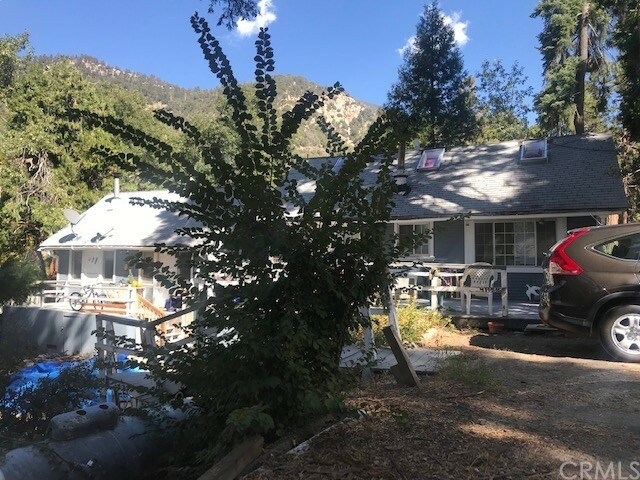 County maintained street...No flood insurance required..."
"Wonderful get away property located in nearby San Bernardino mountains with elevation at 5000 feet to 6000 feet above sea level. Camp is secluded with your neighbors out of site! Building has 3 levels with 8 rooms, 3 bathrooms, with one of the bathrooms having 3 shower stalls and 3 toilet stall with 2 sinks, 2 kitchens and 2 big conference rooms. Great retreat get away for families, large groups or organizations. Ground level is one big room also has a private room that is currently used for individuals to pray. All bedrooms have bunk beds that are included with purchase." 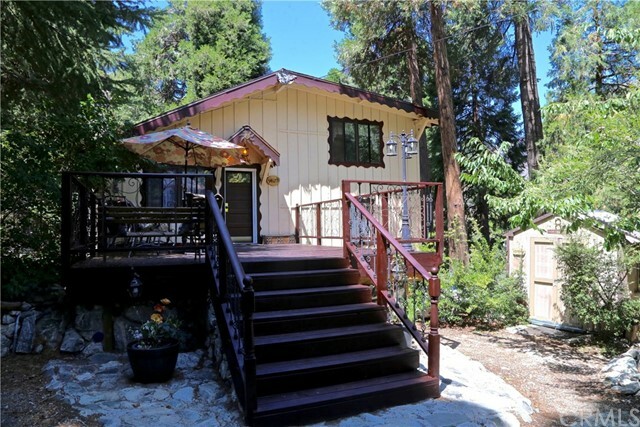 "View and hear Big Falls Waterfall from this custom 3 bedroom 3 full bath creek access home. True attention to detail and function was put in every bit of this well loved home. SoCal's tallest year 'round waterfall is yours from both within and outside this full featured, energy efficient home. 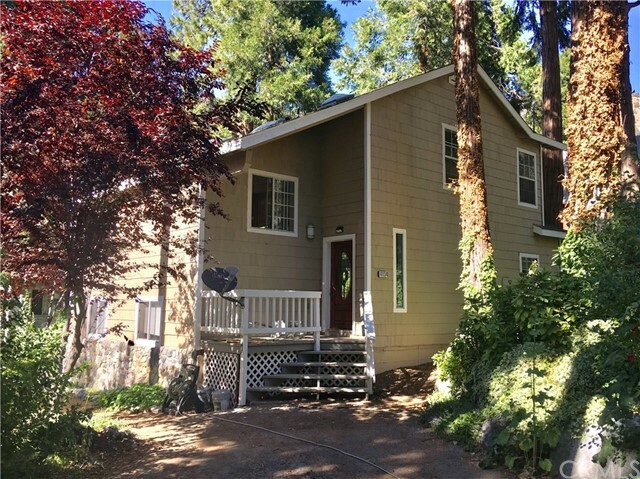 Year round Mill Creek less than a 30 second walk from front yard and seasonal rattle snake creek is along back edge of property with steps down into creek from the grassy yard to access horse shoe pit and tree house. Panoramic mountain views from front and back. Enter home through a covered front porch into large Great Room complete with air-tight wood stove, large dining area and full featured expansive kitchen with granite counters, maple cabinets, and recessed/accent lighting. Full guest bath on this floor. 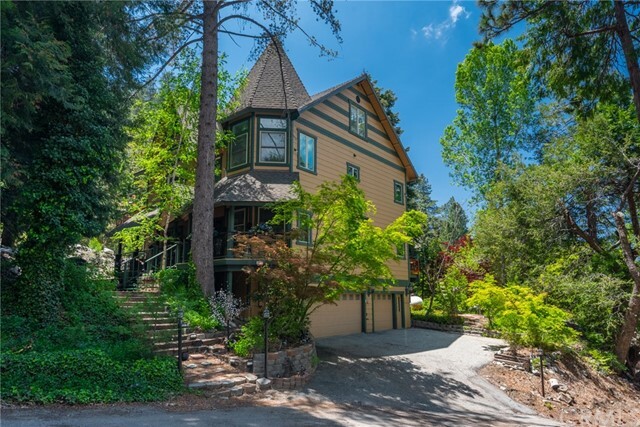 Travel the grand staircase to upper level offering den/office area, large family/bonus room with peaked ceilings and waterfall views plus 2 large bedrooms, full bath and a large master suite with walk-in closet, spa tub with grand views, double sinks and private toilet room. 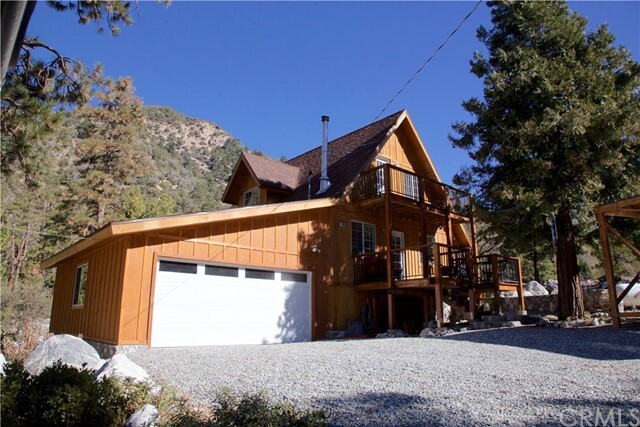 Master suite opens to balcony with views of Yucaipa Ridge and Big Falls Waterfall. Central heat and ac. Fire sprinklers and built in back-up generator. Fully finished large 2 car garage with tall ceilings for extra storage. 2 more parking stalls at end of driveway. 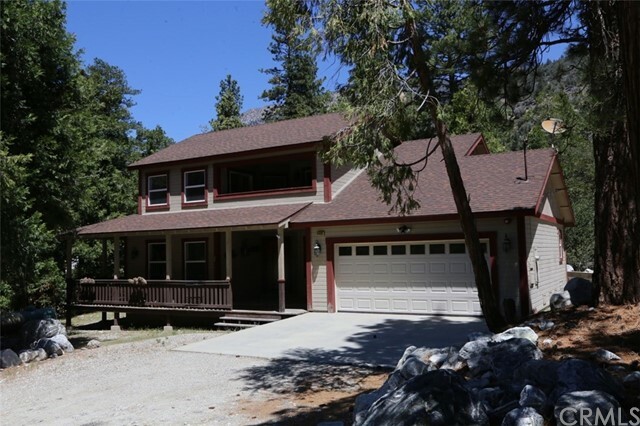 Rare views and access to Big Falls Waterfall, Mill Creek, San Bernardino Peak, the Palisades, San Gorgonio Wilderness and numerous hiking trails." "Beautiful mountain living without the long drive. Large 2300 square feet three bedroom two bath home on a quiet almost acre lot. Enjoy the great outdoors with this tree-filled lot within walking distance of several hiking trails in the nearby national forest. 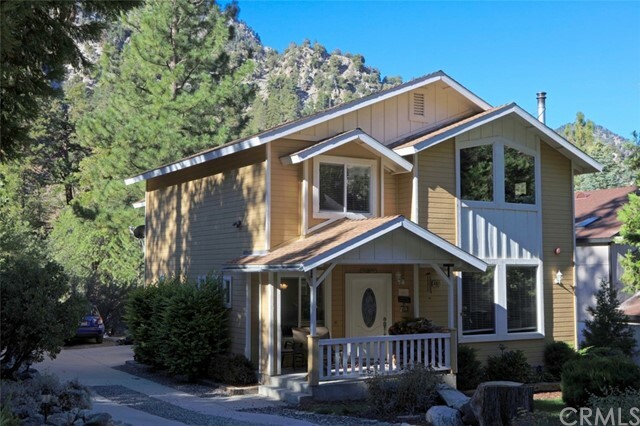 It features a lighted gazebo, 32 giant cedar/pine/oak trees, beautiful gardens with stone-lined paths, several sitting areas, a new extra-large deck in front and newly painted deck in back where you can enjoy the spectacular views of the Palisades and the Yucaipa Range mountains. The long driveway has plenty of parking and there is even room for a second cabin. The amenities inside include knotty pine walls with custom cabinets and woodworking throughout, dramatic cathedral ceiling with towering windows and pocket lights. The kitchen has a new stove and dishwasher and loads of counter space and storage. The breakfast bar opens to the large living room complete with a large rock fireplace and wood stove with exposed wood beam ceiling. Perfect for entertaining or just enjoying a roaring fire with cup of tea! The nature inspired decor continues in the master suite with a large master closet, a Jacuzzi tub, walk in shower with river rock walls, sunken master bedroom with 180 degree windows and a romantic master bedroom fireplace. There is also a large craft room/wood shop with tool closet and workbench just off the over sized laundry room which includes washer and dryer. Come check out this incredible home today." "Classic Craftsman Home direct from the 1928 Sears and Roebuck Catalog. Beautiful on the outside, spectacular on the inside! Walkway leads to formal entry and warm sitting room filled with knotty pine, peaked and beamed ceiling and original river rock fireplace and vintage wood flooring. One full bedroom and full bath on main level. Open and flowing gourmet kitchen has new appliances and is adjacent from dining area that leads directly into great room with incredible views of the northern face and year round Mill Creek. Light a fire in the new efficient wood burning stove and watch it snow as the creek flows by, through the wall of windows from the comfort of your home or go out on the big deck and watch the world go by. Downstairs has its own entry and on one side storage and laundry and on the other side big bedroom with ensuite bath. Go up the big easy to navigate stairs to the loft bedroom that has its own bath as well. Well landscaped yard and detached two car garage complete this too good to pass up, one of a kind home." "Drastically Reduced, Custom home has everything you could want. The moment you step onto covered veranda and see the stunning front door, its obvious this is a quality home. Beautiful entry leads into great room with soaring ceilings, open kitchen has granite counter tops, custom cabinets and a butlers pantry. Adjacent to kitchen is formal dining room, laundry room and direct access from attached two car garage. Main floor master suite with huge bathroom complete with granite vanity, soaking tub, separate shower, private throne and walk-in closet. Additional room on this level can be a bedroom or office. Up the grand staircase is a large bedroom with walking closet, full bath with granite vanity, separate sitting area and private covered balcony with incredible views of the southern face so you can watch the weather pass through the canyon. 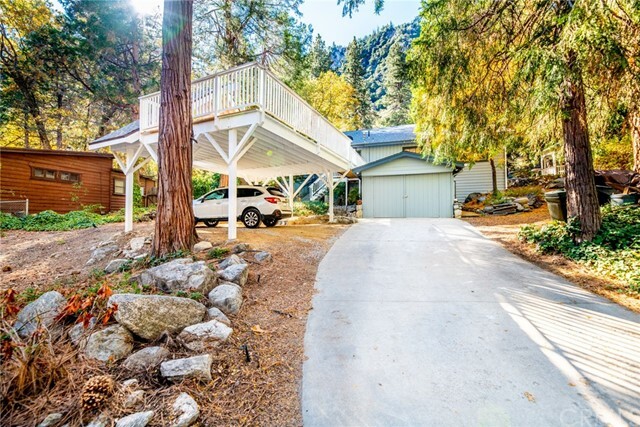 Sitting on two lots, with tons of parking, this home is a two minute walk from Southern Californias Tallest year round waterfall and Mill Creek." "BUY THIS HOME WITH -0- DOWN PAYMENT, USDA HOME LOAN. Eclectic, Modern, Light, Bright, Contemporary--all of these words cannot begin to describe this home. 2 Master Suites includes a Main Floor Master for your convenience, Custom Tile flooring, One of a Kind, Granite Staircase, Custom Chefs Kitchen with Pantry, Quartz Counters and Stainless Steel appliances. If you are looking for a truly one-of a kind home. Look no further-This is the one. Multi-level home with room for all of your family and friends--VIEWS! This home was built so that you have a sense of privacy. Close to the main highway on a quiet street in the sleepy town of Forest Falls, White, minimalist walls are a blank canvas for your artwork and displays. This is your dream home. Dual paned windows-architectural details throughout--unique in every detail. You have to see this home. 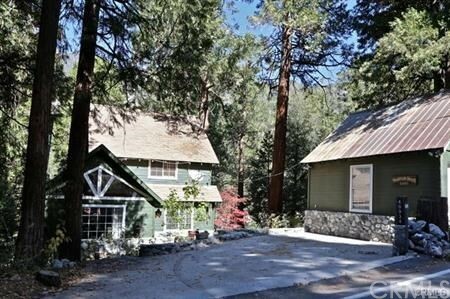 Minutes away from I-10 and your work commute-Forest falls is So Cal's best kept secret. Make it yours today." "This property is the definition of Location, Location, Location... Custom built 2 bedroom 2 bath enjoys one of the best locations around as it is nestled into a total view and solar exposure lot on the Island looking into year 'round Mill Creek, the 10'000' ridge of the San Gorgonio Wilderness, Palisades, San Bernardino and Galena Peaks and the Yucaipa Ridge and bordering National Forest land to the North. Originally a 3 bedroom but now used as a 2 bedroom 2 bath complete with Great Room including efficiency kitchen, dining area and living with air-tight wood stove. Hardwood floors and tile throughout first floor and plush carpet in grand upper suite. Main floor and upper level decks on both front and rear of home with view, view, view. Whole house filter, Laundry room, Hot Tub, private creekside sitting area, oversized attached 2 car garage with shop area and carport. 2nd full size Corral Lot offers detached 1 car garage, 1 carports and 3 storage buildings, 1 previously a horse stall. Furniture and Utility Tractor negotiable with sale. Did we mention the view?" "Fine Mountain Living! Quaint town of Forest Falls! Easy access! Enjoy four seasons! Wildlife, hiking trails and fishing nearby. Close to town. 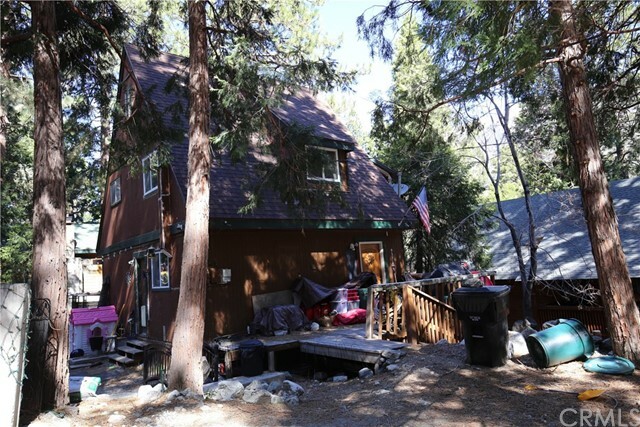 Three bedroom, one bath, plus large garage with loft, on two lots over 15,000'. Classic stone fireplace, updated bathroom, french doors, central air and heat, indoor laundry, ceiling fans in all bedrooms, fenced pet area, Also, studio apartment or man cave/artist studio (no permit) Plenty storage and parking for several vehicles and/ or RV. Short commute to Redlands/ Yucaipa area." "Crisp and bright 2 bedroom with full bath is accessed from paved driveway, stone path and across large front deck into vaulted ceiling dining area with fireplace. Main floor includes compact kitchen plus prep room, full bath with new floor and covered side porch leading to laundry room. Upper split level has large living room while lower split level offers two nice bedrooms with full closets. Great landscaping, detached 1+ car garage, detached storage shed and 6' fenced/cross-fenced back yard." "Warm, cozy and gorgeous! Come on home to this fabulously remodeled home that will instantly make you comfortable. Central heat, and even room air conditioning (barely used) compliment the country kitchen and living room fireplace. The front yard is ready for relaxing and enjoying the warm spring and summer weather. Fencing surrounds." "Two single family one bedroom units. 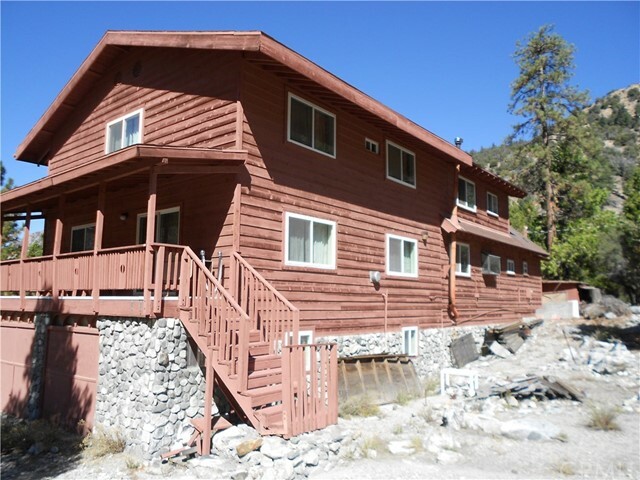 Each has full: kitchen, one bedroom, full bath, pull down stairs with loft, storage/bonus rooms and big front deck with beautiful views of the Northern Face and down canyon. Live in one and rent the other! Parking for multiple cars." "Sellers Pain - Buyers Gain! Life got in the way and deferred maintenance turned to some real fixing up in this 2 bedroom 1.5 bath plus attic room. Enter through air lock entry/laundry room or side entry into Great Room that offers spacious living area with corner wood stove, nice dining area, 1/2 bath and remodeled kitchen with upgraded appliances and plenty of cupboards and counter space. 2nd level has 2 bedrooms, larger one with covered balcony deck, remodeled full bath with combo tub/shower and stairs to finished attic room perfect for a daytime retreat. Underneath is nice storage/shop area with easy drive up access. Deck, small yard and parking area. 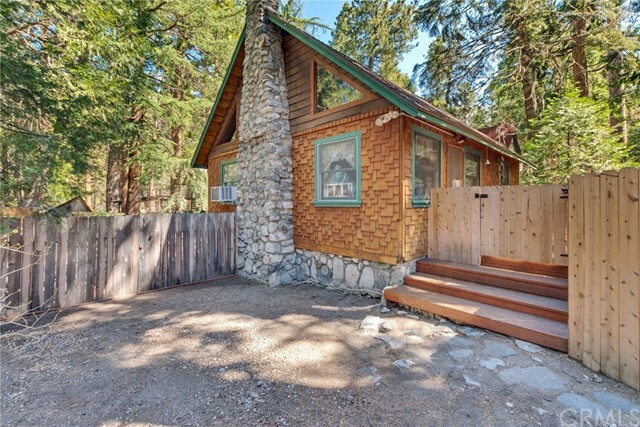 Close to both Snow Creek and year 'around Mill Creek and a easy walk to Big Falls Waterfall." "Classic mountain cabin has rustic feel with some modern upgrades. Peaked/beamed ceiling living room with lots of natural knotty pine siding and wood stove. Bedroom also provides ladder access to attic room overlooking living room. Partially remodeled kitchen and bath plus large front deck with plenty of winter sun and good views. Detached storage building and common driveway serves your detached garage/shop plus neighbors back access." "Price Reduced on Unfinished expansion project. Life Happens so Sellers loss is Your gain. What started as an 818 sqft. Cabin built in 1926 will be an all new home when your done. Completed plans with Engineer Stamp for a 1440 sqft. Home with additional loft space and a 2 car garage are included in the sale. Plans are complete and stamped as well as some fees already paid to the county for permits. Where else can you get the home YOU want and plan, built to 2018 standards with all the modern materials and conveniences. Go big or keep it simple, your choice. Why buy an old house that has been fixed and patched, when you can finish your NEW house. Located on an 11,900 sqft. FLAT wooded lot you have room for anything you can imagine and beautiful views in all directions. Perfect location IN Forest Falls that s not so high in elevation that you get too much snow or harsh weather, but high enough to get the full mountain atmosphere. 2 blocks from Mill Creek bridge, a short distance to the village, yet only 20 or so miles to Redlands Yucaipa area. Imagine living in the forest and still being less than 30 minutes from work. Enjoy relaxing on the wooden deck. 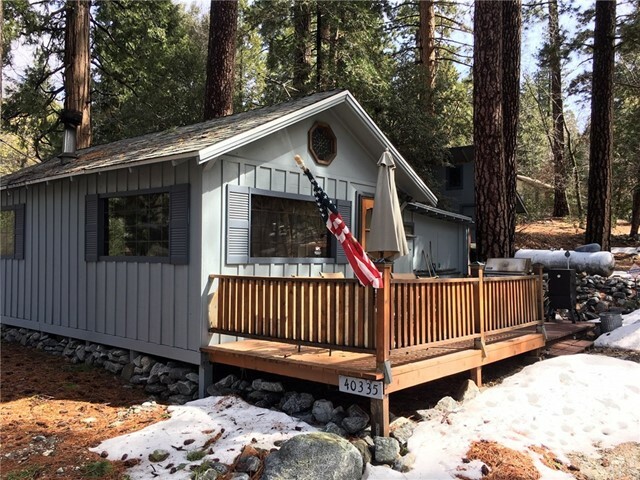 Oversized Shed in the back and an awesome location, priced right for the perfect weekend get away or full time mountain residence." "This rustic and charming lodge building, forever known as Job's Daughters, is waiting for you and your non profit group to come and fall in love with it and the fabulous location! 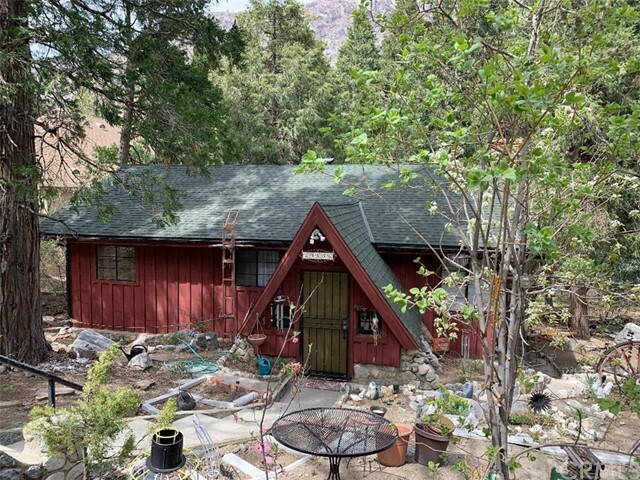 Upstairs is huge dormitory style sleeping area, located Directly across the street from the Momyer Trailhead with easy access to year 'round Mill Creek and hiking access into the San Gorgonio Wilderness. Under Special Use Permit with the U.S. Forest Service for a non-profit organization. You've driven by this building for years and wondered...now is your chance to make this your groups clubhouse! Property DOES NOT qualify for financing. 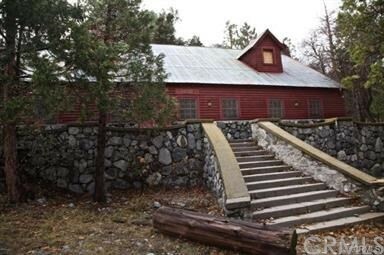 Buyer must buy AS IS and wait for the USFS to issue new lease."